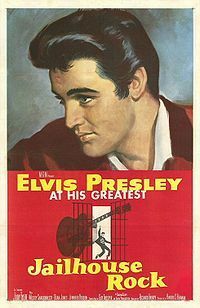 Jailhouse Rock is an American motion picture directed by Richard Thorpe, released by MGM on October 17, 1957. The film stars Elvis Presley (his third ever film role), Judy Tyler, and Mickey Shaughnessy. Co-star Tyler was killed in an automobile accident a few weeks after the film was completed, and like Loving You before it, Presley was so upset that he refused to ever watch the completed film. In 2004, this film was selected for preservation in the United States National Film Registry as being deemed "culturally, historically, or aesthetically significant."